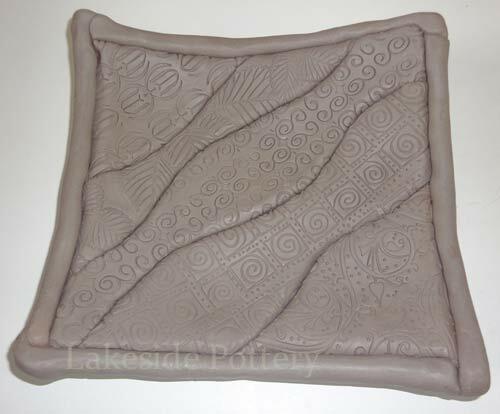 Ceramic clay quilt art can be designed and used for wall mount display or designed as a functional serving platter or tray. 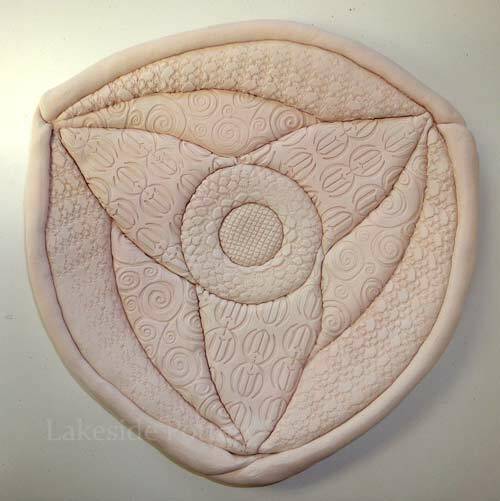 In either case, it has the appearance of soft quilted fabric and through our experience, is a great centerpiece that generates conversations and wonder. 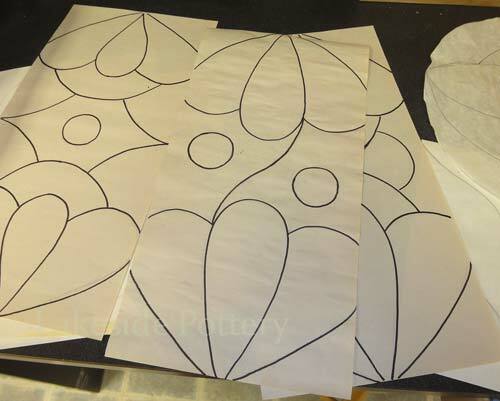 The pattern can be designed to mean something for each customer (e.g., initials, hobby, company logo, family crest, favorite sports, etc.). 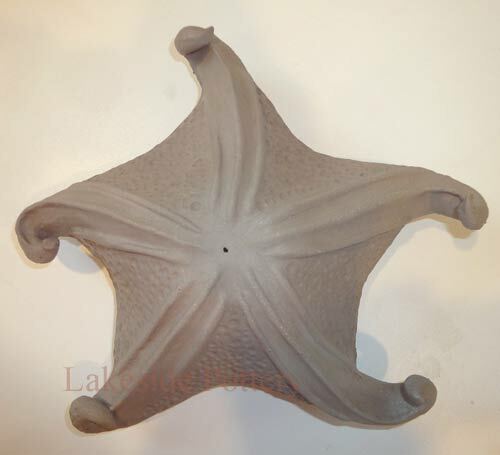 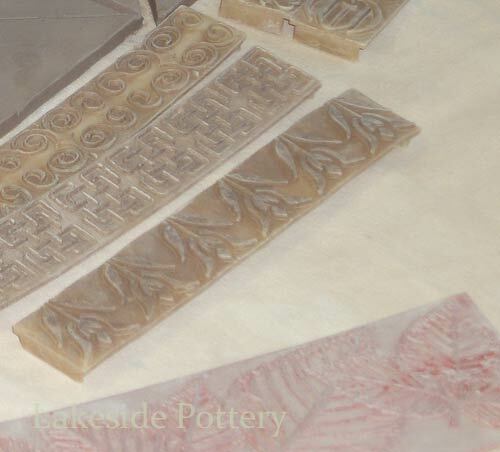 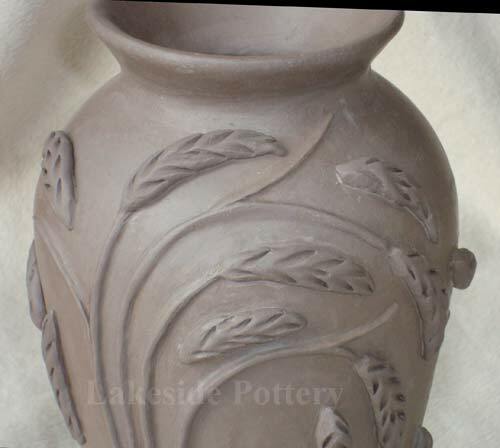 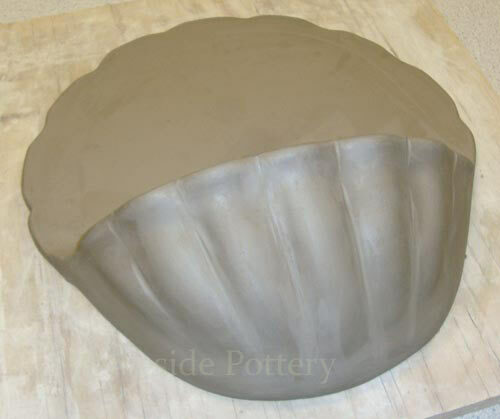 We can design it to order and glaze to numerous color options. 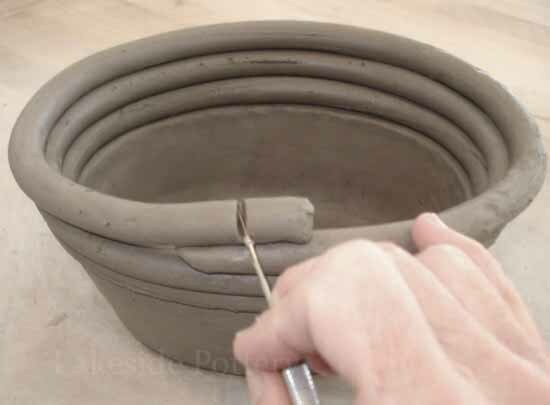 If the order is for hanging art, we build in provisions for hanging or can shape it to a bowl, platter or a tray with or without feet. 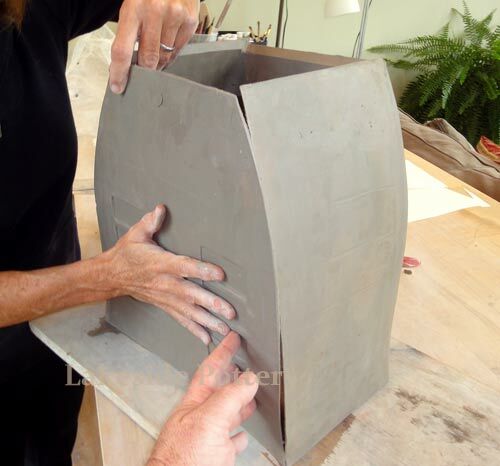 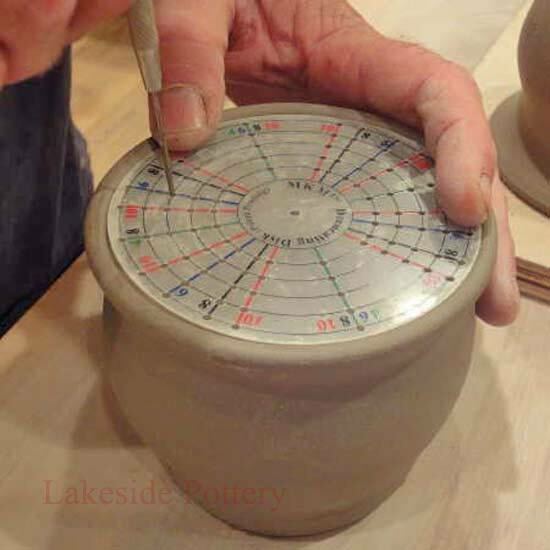 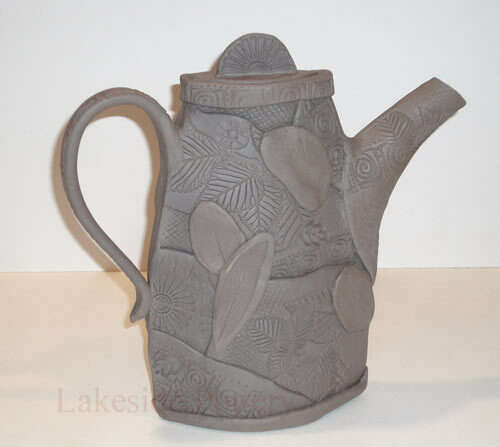 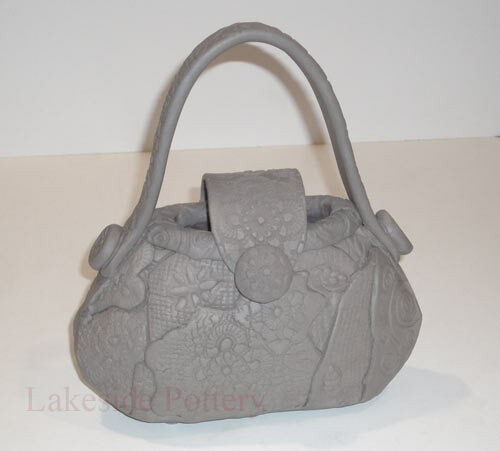 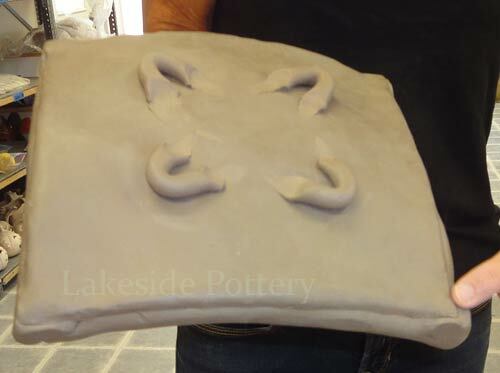 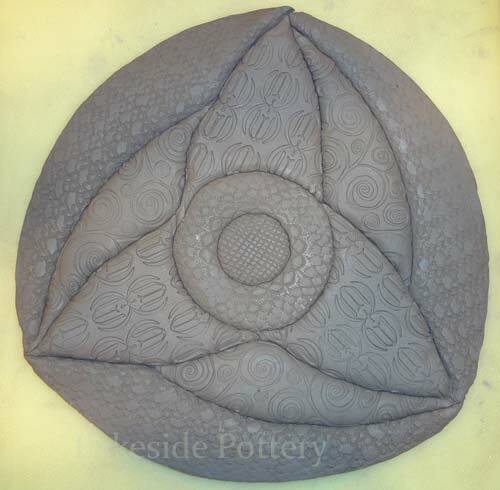 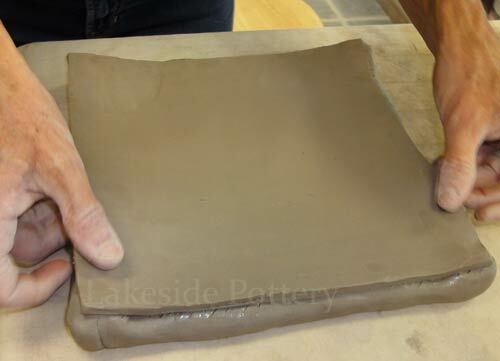 The tutorial for this hand building pottery lesson is below and will walk you through the process of "Quilting With Clay" step by step. 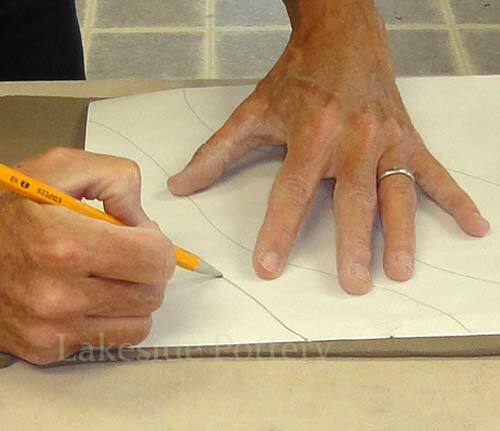 Design options are infinite and can be placed on a thin paper like "newsprint". 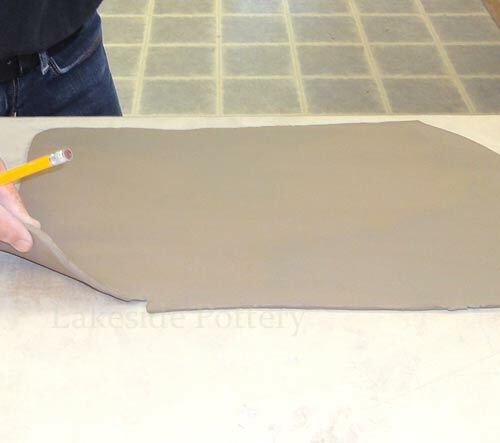 Prepare a slab slightly thinner that the typical 1/4" (see Making Tiles tutorial). 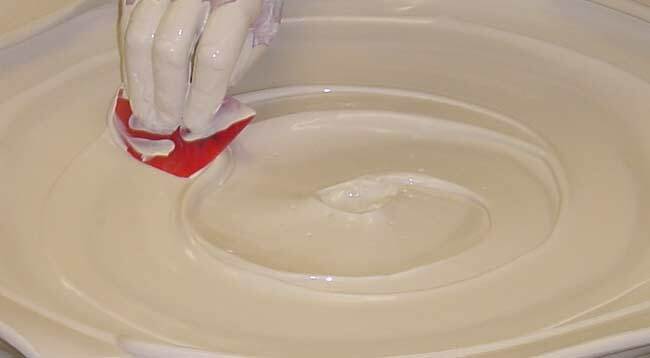 We prefer to use a knife (instead of a pintool) for a cleaner and thinner cut. 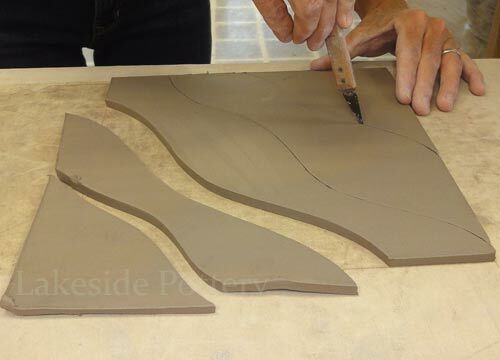 Make sure you hold the knife at 90 degrees at all time while cutting to ensure square cut. 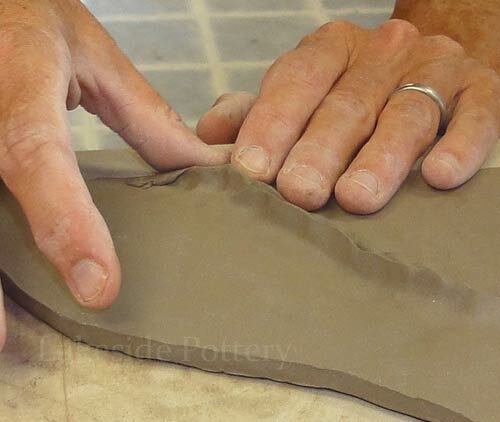 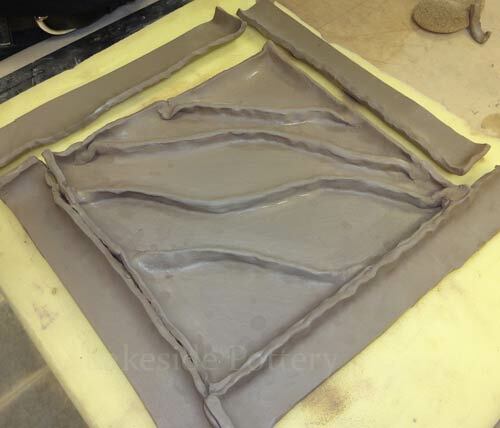 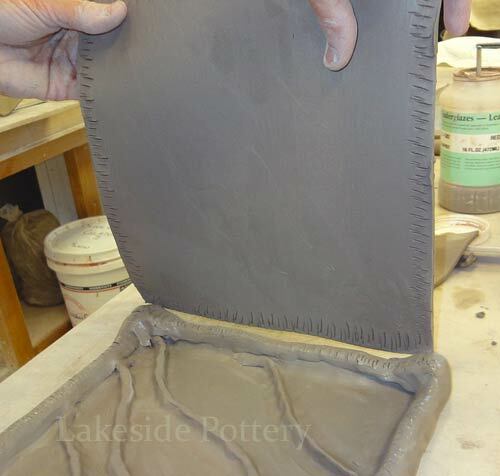 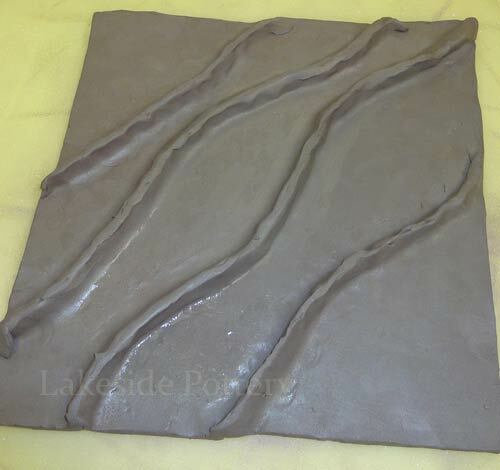 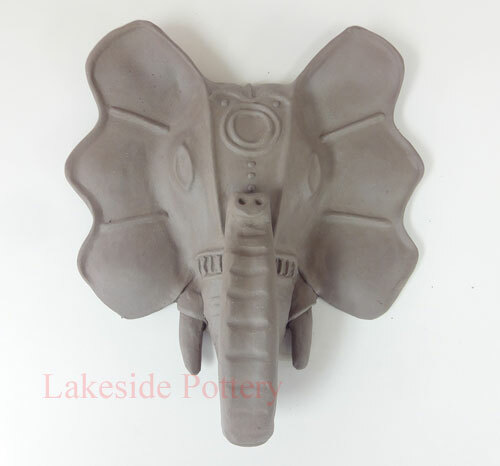 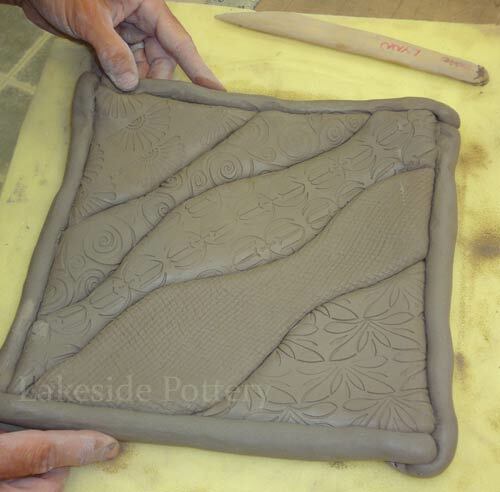 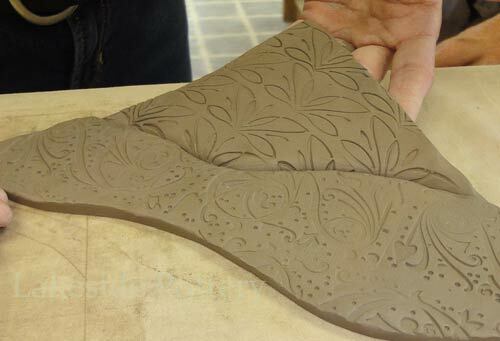 Because pieces are already cut out and thin, when making impressions in clay with texture, be careful not to push so hard that shapes become distorted. 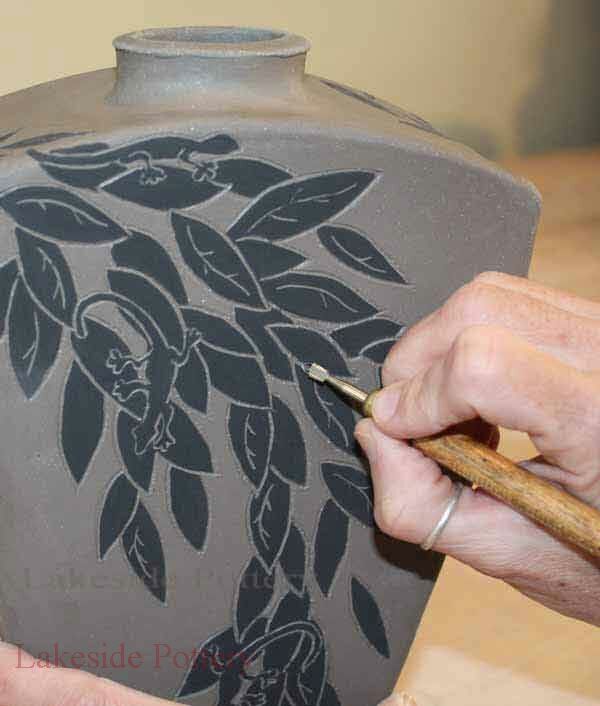 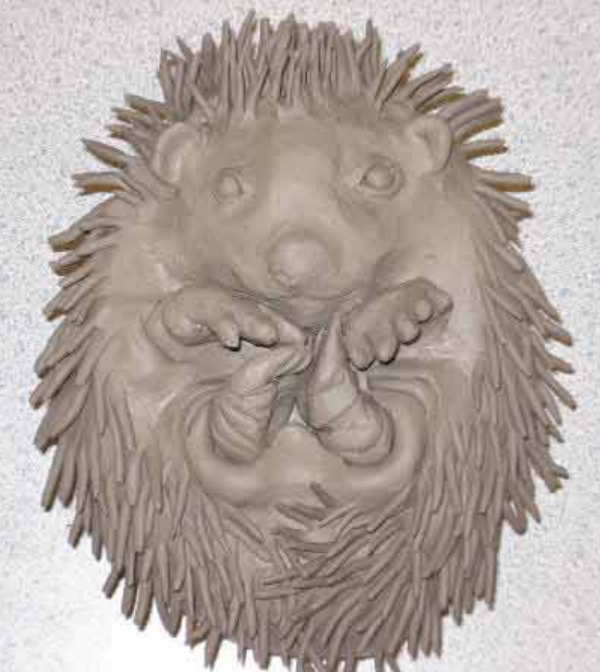 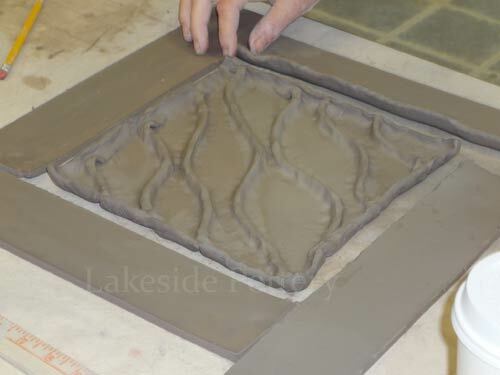 You may want to used an extra piece of clay for texture as a dry run to practice the required pressure for perfect image transfer. 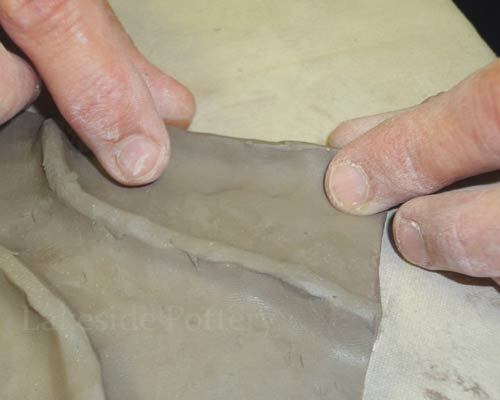 After folding up the edges that are to be joined, gently pinch them together just enough to insure adhesion. 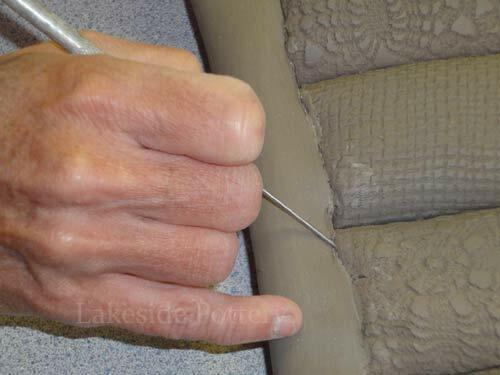 Too much of a pinch make the joint thin and it may rip. 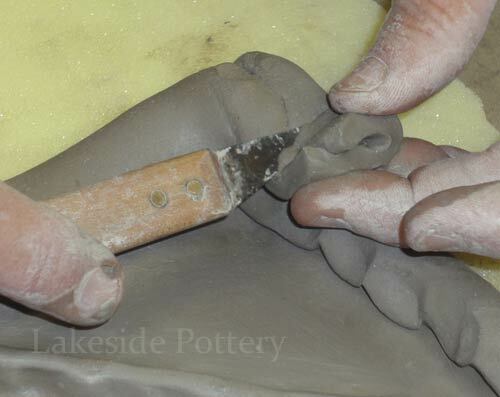 Once all pieces are joined, to ensure the joints stay sealed, smooth with sponge and fingers to make sure there are no air gaps or unjointed areas. 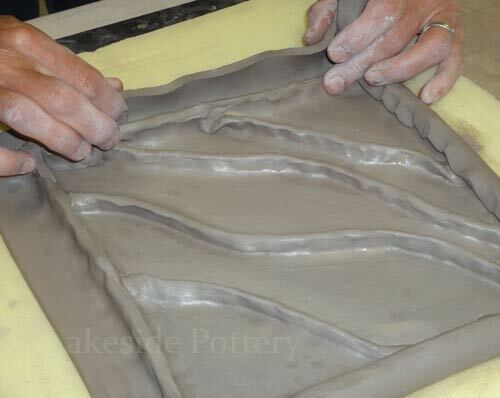 Now fold up all outside edges. 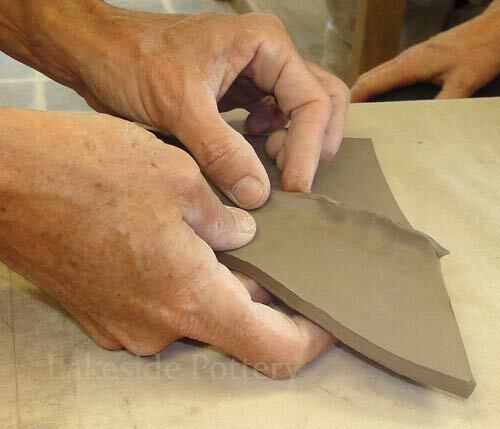 In order to fold entire exterior edge you will have to fold down some ends of the pieces joints. 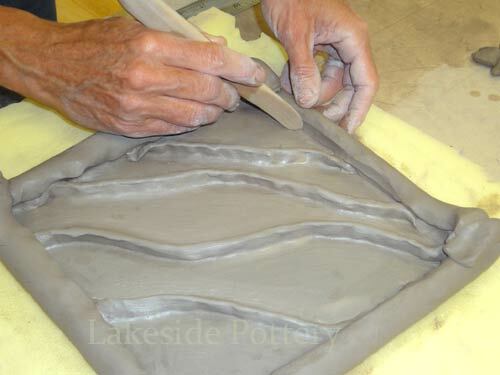 Cut frame to desired width. 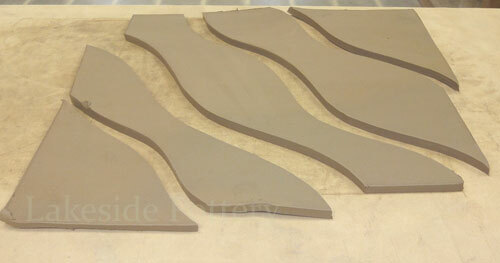 Leave plenty of extra length and cut to desired size as you go. 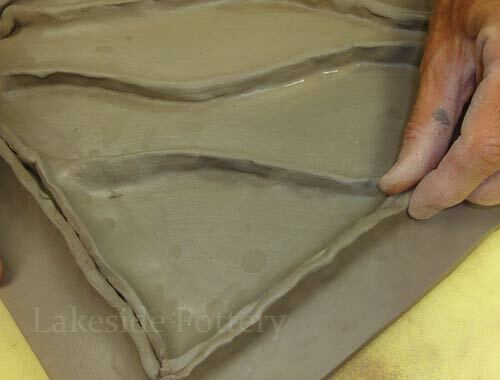 Fold up frame edges and join in the same manor as before. 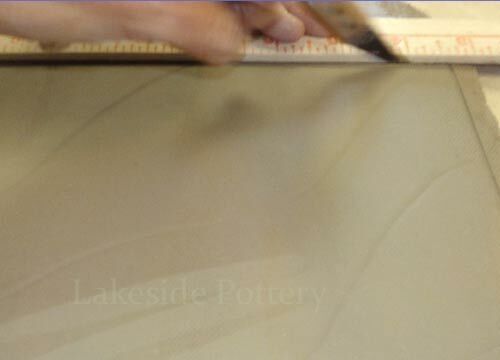 Note that throughout the above process, we did not use the "slip and score" technique. 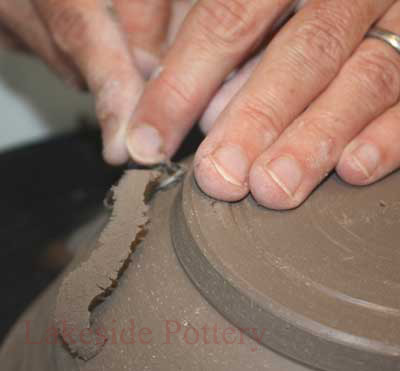 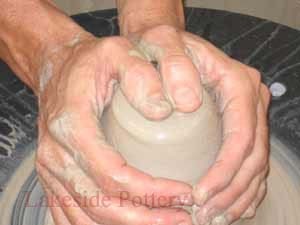 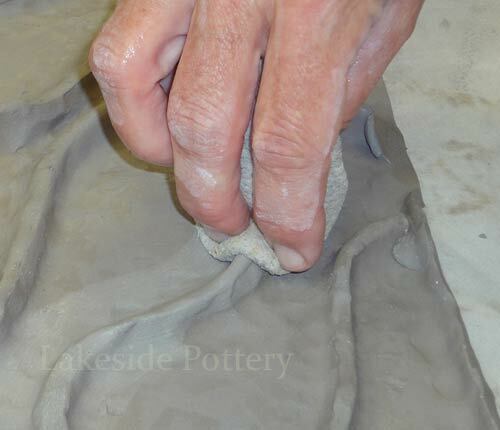 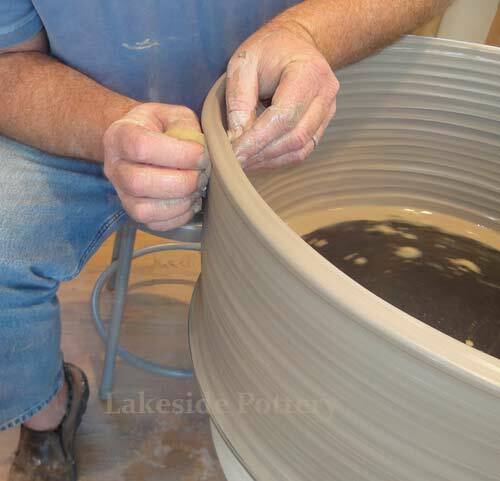 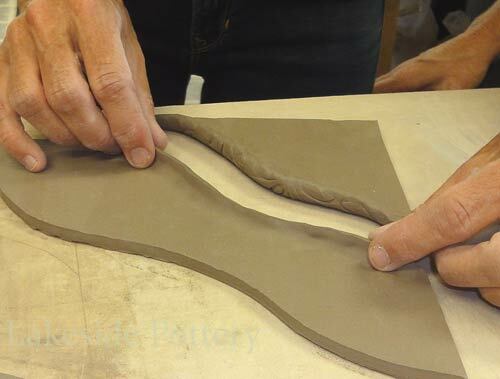 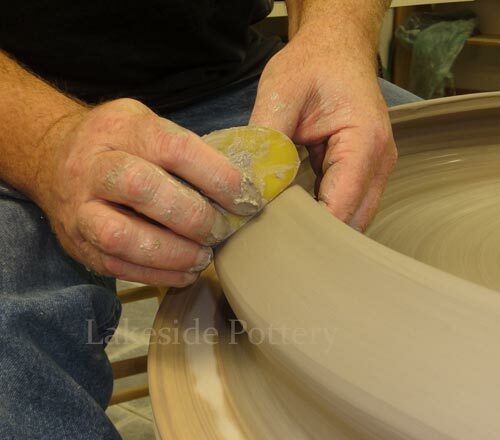 "Pinching" the clay together makes a sufficient connection as long as the clay is still soft. 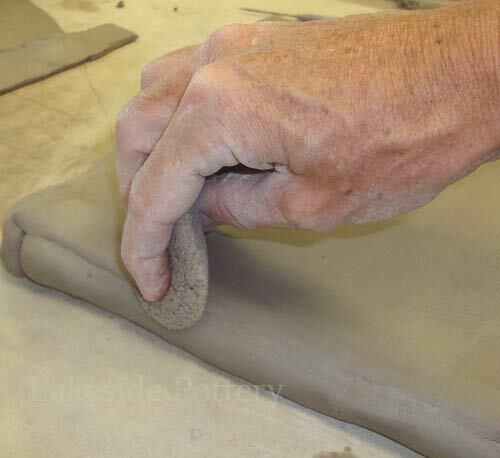 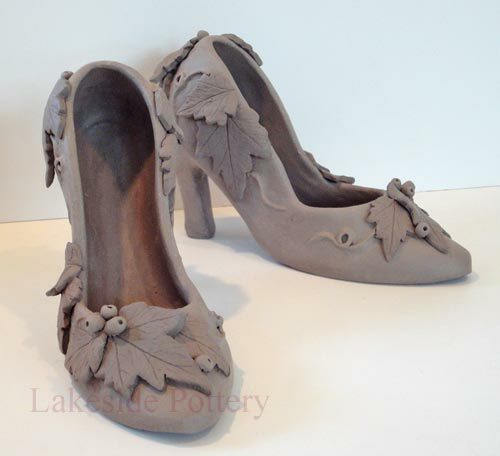 You may have to spray the clay every so often to keep it from drying. 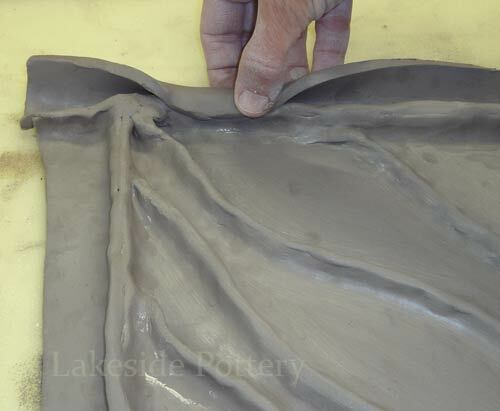 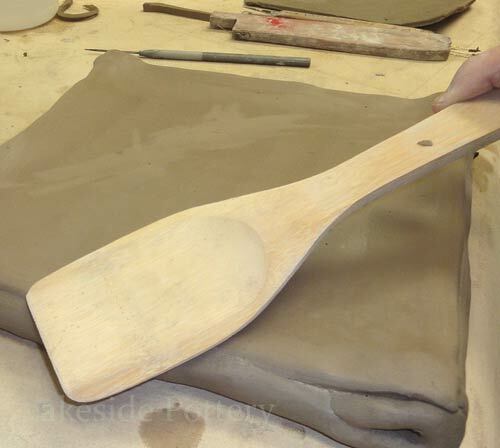 Placing the back piece as illustrated below requires slip and scoring or scoring with "Magic Water". 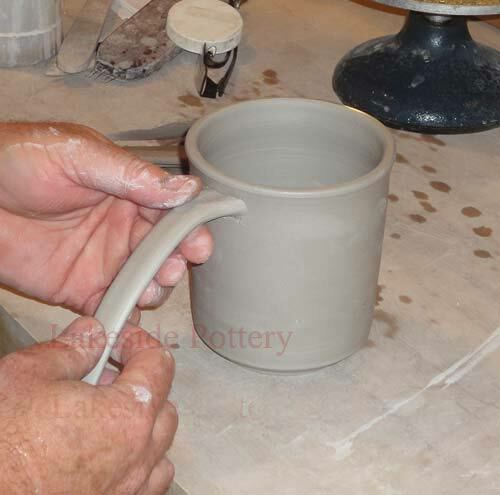 See Magic Water Recipe. 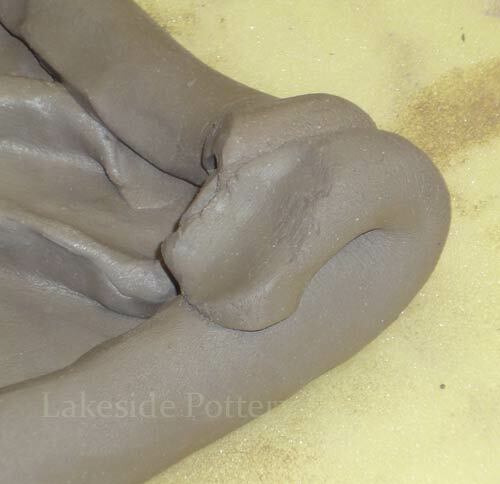 IMPORTANT: If you decide to place a back cover you will be creating hollow spaces with air pockets. 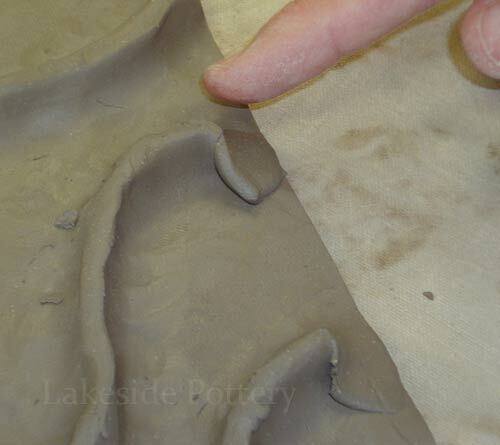 It is very important that you make sure to poke holes with a pin tool in each cavity to let air escape during drying and firing. 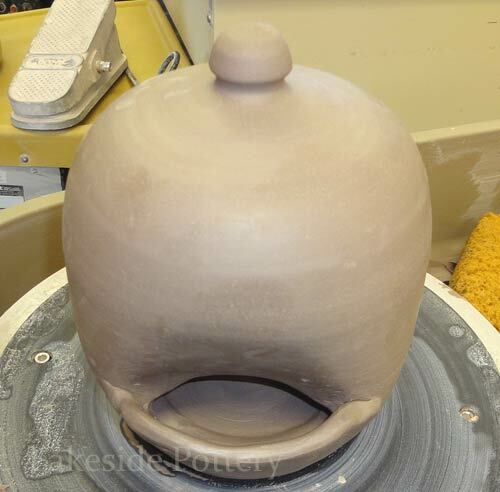 Without the holes, it will most likely crack or break. 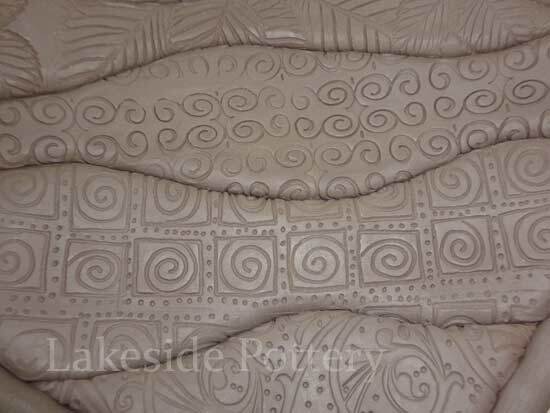 The holes can be hidden in between seams or can be done on the reverse side. 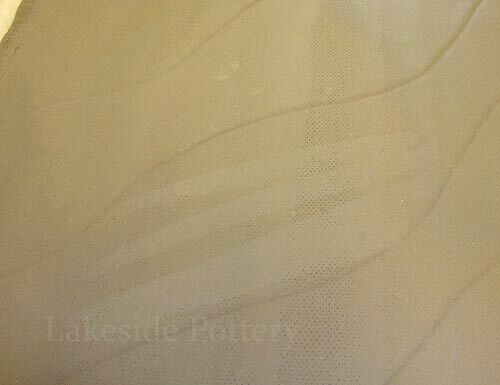 To avoid warping and possible cracking, dry very slowly - cover with plastic and wait a week or so before exposing to room air.